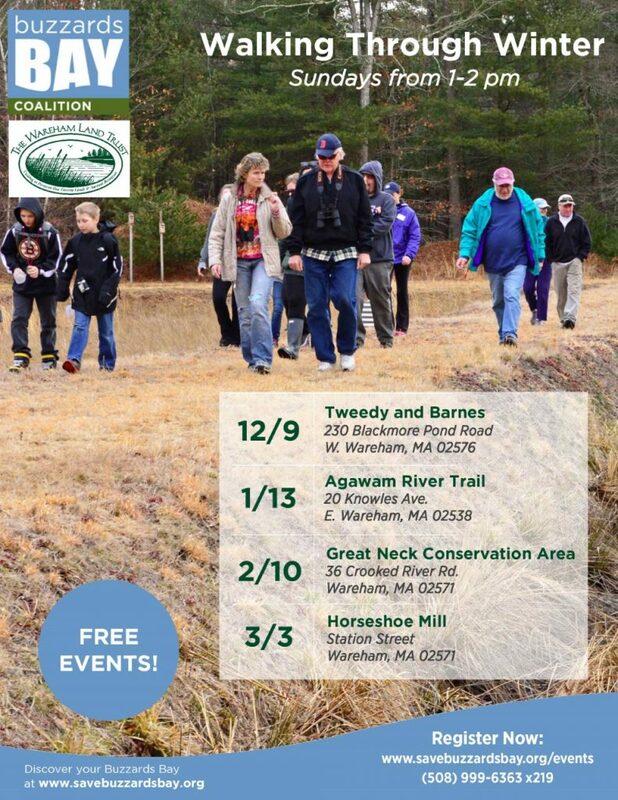 We still have 2 more walks scheduled for our Walking Through Winter series in partnership with the Buzzards Bay Coalition! Programs are free and family-friendly. We just ask you to please register online if you plan to attend (see links below). Join us on Sunday February 10th at the Great Neck Conservation Area (36 Crooked River Rd.) and Sunday March 3rd at Horseshoe Mill (end of Station Street). Programs run from 1-2pm. Topics include local animal and plant species.